Revenge has deadly consequences. Seventeen year old Rebecca Winters’ main goal for ten years has been to graduate high school and take down the people who killed her parents. When she stumbled upon a werewolf pack in the middle of Phoenix, she knew she’d found a way to make her dream come true. Instead of getting vengeance, an act of war has put her into a position of power and forces her to put her thirst for family justice on a temporary hold. He is duty bound to protect her. Lucian (Lucky) Lamont is a member of the Protectors, an elite supernatural police force who works for the Authority. Their main goal is to keep humans in the dark about the creatures who live among them. Lucky is assigned to protect and manage Rebecca, despite her refusal of help. 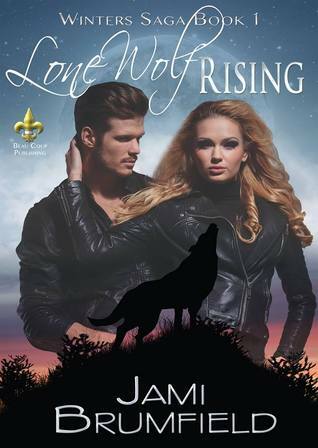 His cover is simple; he poses as the dutiful ‘pretend’ boyfriend in order to keep an eye on the new alpha wolf. Gabriel Black though taking his pack back from the witch who was chosen as the new alpha would be simple. He thought wrong. His entire world was turned upside down the moment he met Rebecca at the Authority Council meeting…and he was hooked the moment he kissed her to prove she wasn’t dating his best friend, Lucky. It’s like being torn between two lovers. Rebecca is pulled in hundreds of different directions while she attempts to find a way to survive the supernatural world, protect her family, and discover who massacred her entire pack days before her first transformation. She doesn’t have time for romance. But the heart wants what the heart wants.